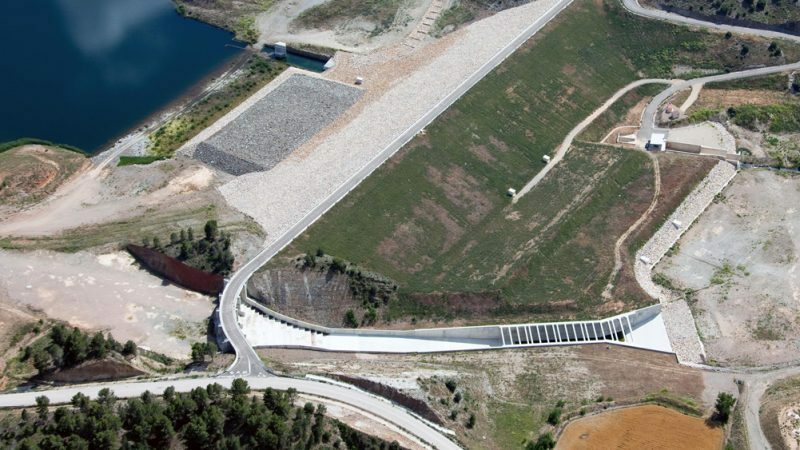 » Portfolio » Jiloca River Regulation Dam, Teruel. Spain. 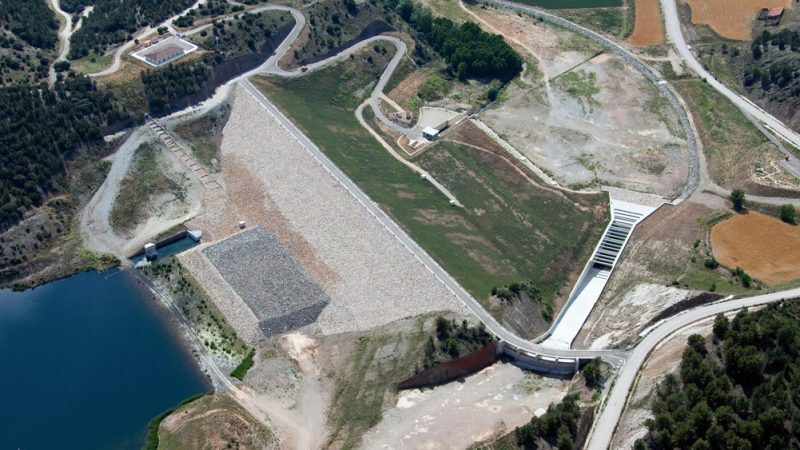 Jiloca River Regulation Dam, Teruel. Spain. • Restoration of access road to Lechago. • Environmental impact corrective measures. Dam on the Pancrudo River some 1,300 m upstream of the mouth of the river where it empties into the Jiloca River, in the town of Calamocha (Teruel), to create a reservoir with a capacity of 18.16 hm³ at elevation 891. It is a straight rockfill dam with a clay core with a total length at the crown of 330 m, maximum height over foundation of 39 m, maximum height over river of 34 m, crest elevation at 895 and crest width of 8 m.